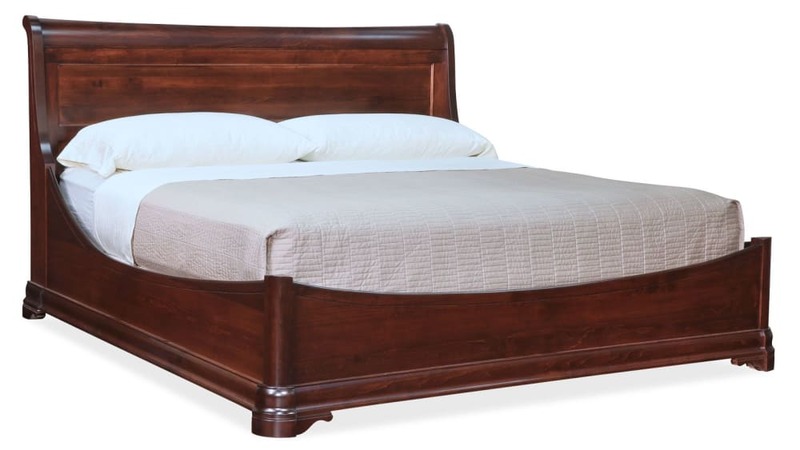 This sleigh bed will carry you right into a deep sleep. 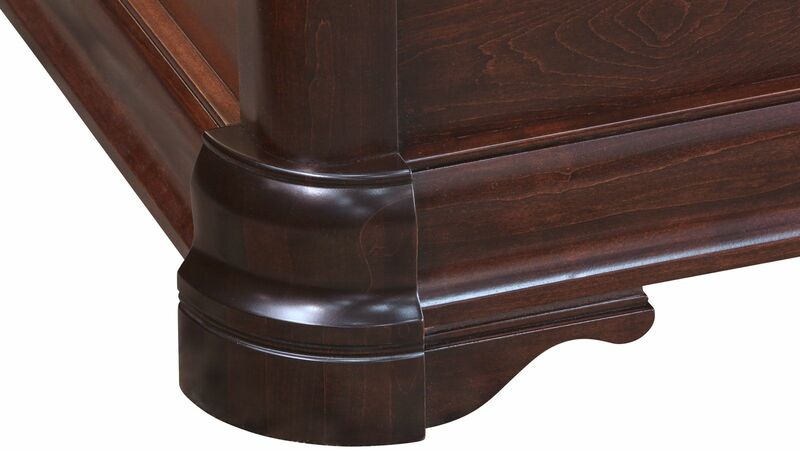 Curved lines, a smooth finish, and soft angles are just what you need when you're looking to take things down a notch. As you begin to unwind, this will be the only place you want to go. The soft glow of the wood is even welcoming and relaxing. 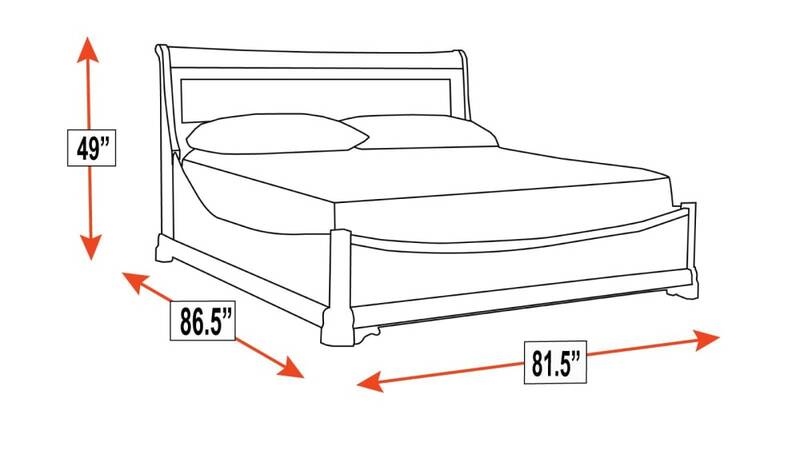 Craftsmen shaped this American-made bed with care and pride. The bed was crafted from 100% solid North American brown maple hardwood. A catalyzed finish gives lasting beauty and warmth. 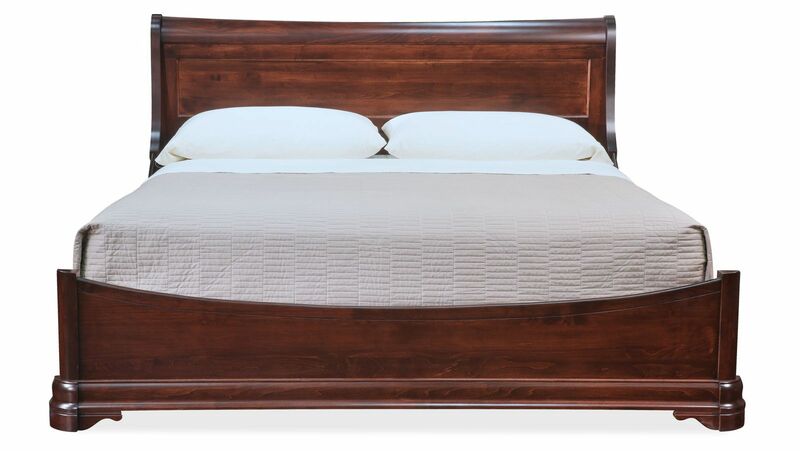 Soft curves and lines make this sleigh bed an easy choice that won't overpower a room. It goes beyond the support of jobs and your local community. When you buy American-made furniture, you aren't only investing in the future of this nation; you're investing in the future of your home. American-made pieces follow strict quality guidelines and use precise attention to detail. No cutting corners here! You can feel good about your purchase in more ways than one. By the time you start to unwind for the day, you'll look forward to turning down the sheets on the stunning Paris King Sleigh Bed. Say goodbye to that outdated bed you have in your bedroom, and say hello to this elegant piece that you won't want to go another day without. Buy this bed TODAY, it will be delivered TODAY, thanks to Gallery Furniture's prompt same-day delivery!